We are currently Updating our self-catering accommodation, and will no longer take bookings in Ty’r Goets (the Coach House). 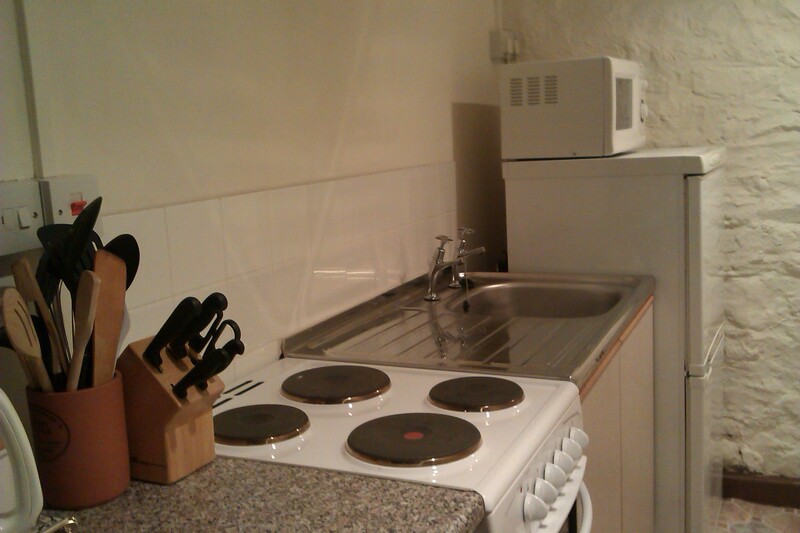 However, we will be introducing a new, self-catered flat shortly – please enquire for details. 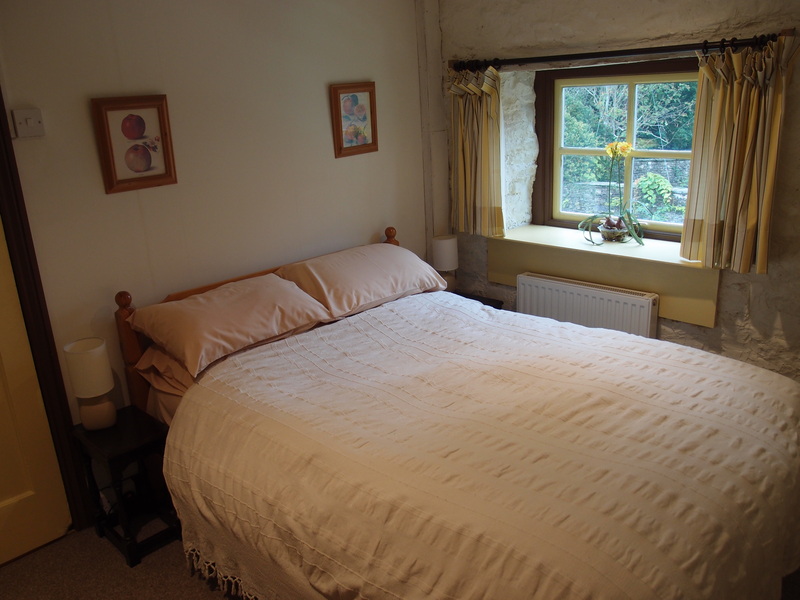 Our self-catering accommodation occupies the upper floors of Ty’r Goets (the Coach House). We charge £60 per day for up to three people, and a furher £20 for each additional guest. We accept bookings for a single night or more, with a surcharge of £20 for one-night stays and discounts very long stays. There are beds for four, but we will welcome more guests than this if you’re happy to sleep in the loft (see below), on cushions. It’s comfortable, perfect for children and has everything you need for a relaxing break, or as a base for exploring the local area. Remember: when you arrive you’ll find complimentary fair-trade whole coffee-beans, for the best coffee experience available. Please read our Access Statement for comprehensive details of the accommodation and information for people with disabilities. The Sitting Room has a dining table, chairs and sofas for four with doors to the stairs, the two bedrooms and the bathroom. 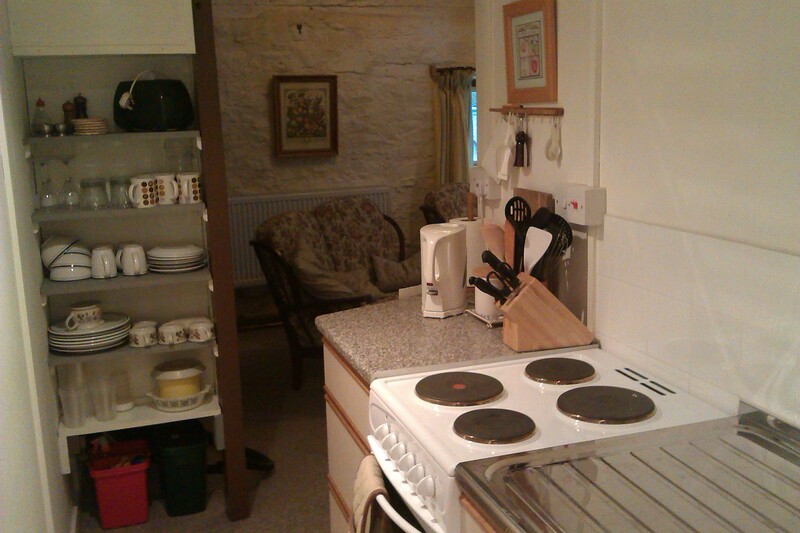 The kitchen opens into the sitting room. There are open stairs to the loft under which are shelves with tea and coffee-making facilities, satellite television and a DVD-player. The Master Bedroom has a double bed and a built-in wardrobe, recessed hand basin with shaver point and an alcove with a short bath and shower. The Second Bedroom is a smaller room with full size bunk beds and a build-in wardrobe. The Bathroom has a full-size bath and shower, hand basin with shaver point and lavaratory. The Kitchen has an electric cooker, fridge-freezer, microwave oven, sink with drainer, work-top with drawers and electric coffee grinder. The Loft is an open carpeted area with a gallery overlooking the Sitting Room, perfect for children’s games. Hot water and heating in Ty’r Goets is provided by an LPG boiler with radiators in each room. We created and maintain our self-catering accommodation according to our three main priorities: quality, simplicity and local-sourcing. We hope that you appreciate these values as we do.